Clever space planning and long-coveted design details make for an elegantly simple kitchen. 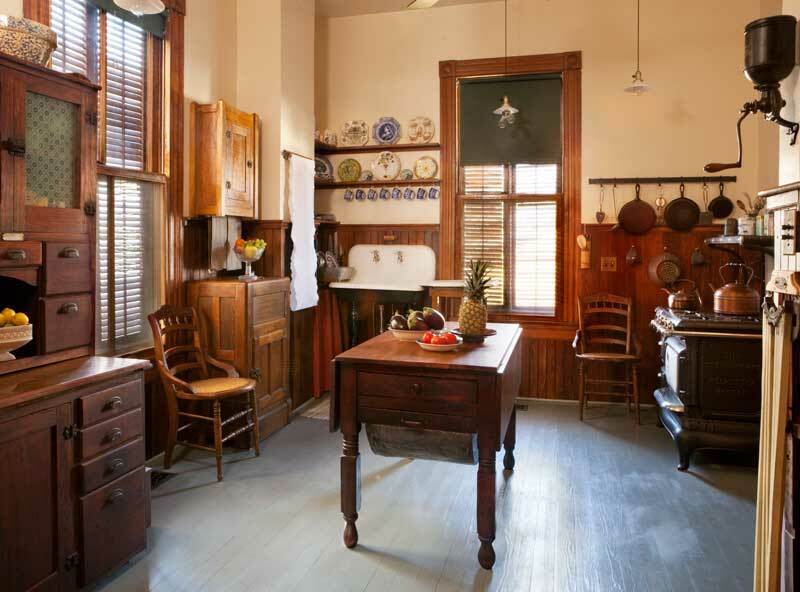 The kitchen in our comfortable-yet-modest 1910 Colonial Revival had been, I’d guess, through a minimum of two renovations, leaving me with a dark, awkward floor plan and big-box-store cabinets. Although the phrase “gut job” usually makes my hackles rise, there was nothing left here to court regret. I cook every day—my kitchen had to be functional. Yet I was reluctant to add on to the house with a disproportionate room that would distort the floor plan. Actually, the solution was simple. To create an ample workspace on one end, we borrowed a 3&apos; strip from the adjacent dining room. 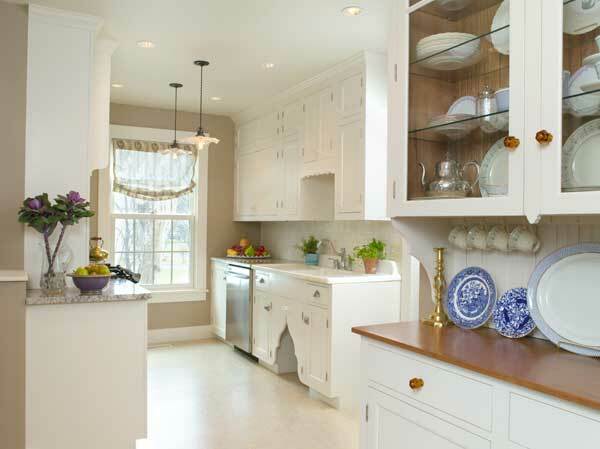 The kitchen now takes a slight jog that adds a bit of quirky old-house charm. Jeff is a talented designer. “I like to get a feel for the style of the house—its age, existing construction, and moldings,” he says. Of course, it’s an ongoing collaborative process with his clients, which continues right through installation. Sometimes I’m part marriage counselor and part carpenter,” he laughs. 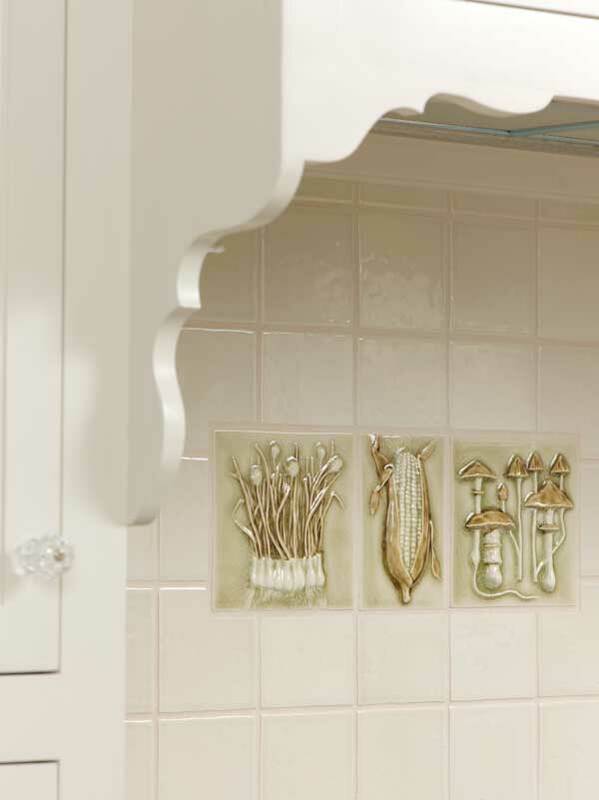 Jeff designed a scallop pattern for the under-sink doors, which became the basis for the gingerbread grace notes that are both decorative and practical, hiding under-cabinet lighting and the vent fan. 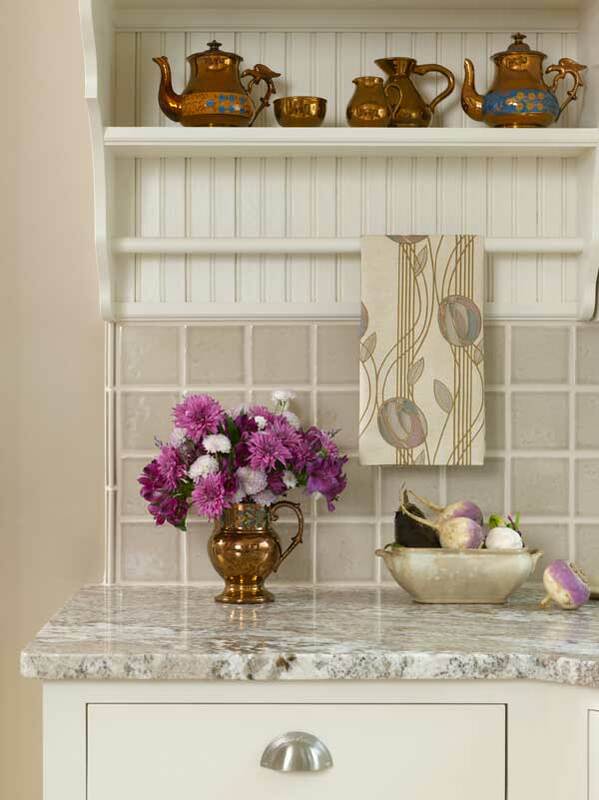 Shallow cupboards on either side of the stove create an old-fashioned cooking alcove, and also hide small appliances. I had long wanted to try linoleum. But my local flooring store recommended Johnsonite Harmonium: 2&apos; x 2&apos; tiles intended for commercial spaces. Easy to clean and comfortable underfoot, the large tiles require fewer seams, giving the impression of sheet linoleum. If something marks this kitchen as interpretive rather than original, it’s the countertops. When I saw a granite sample featuring cool taupe, cream, and mocha shades, I had my color palette. I specified a honed finish, rather than polished. The last element to fall into place was the lighting. 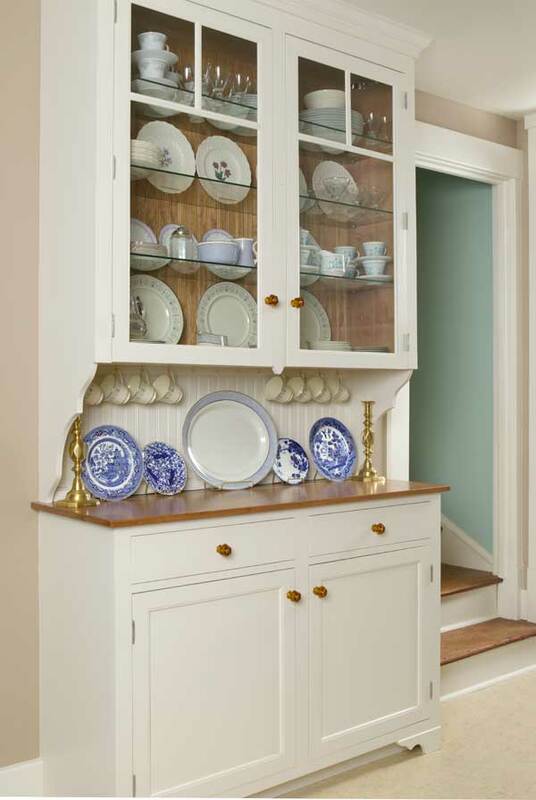 I had searched, but hadn’t found “the one.” Then Rejuvenation issued a new ruffled shade that picks up the scalloping on the cabinets. The shade got me to thinking about the character of my kitchen—subtly feminine, I’d say, with a wealth of historical references. But you don’t need any background to find the vintage vibe agreeable: My son’s kindergarten friend, on first visiting the house, exclaimed: “This is your kitchen? Whoa, it’s fancy!” I took that as a compliment. 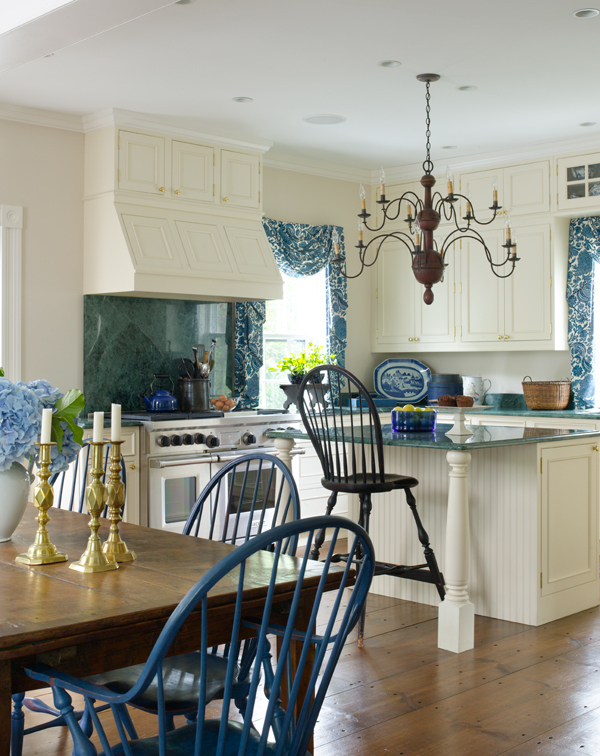 Classy, traditional, and practical, this renovated kitchen fits its vernacular Greek Revival house.